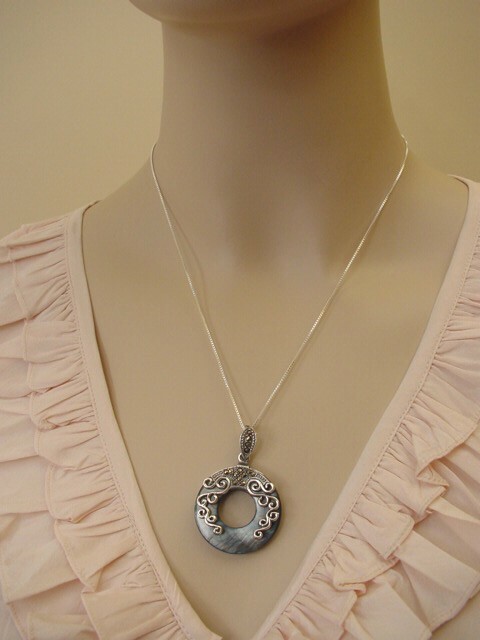 Find great selection on Kotty Style for Mother of Pearl pendants and Necklace set in Sterling Silver. 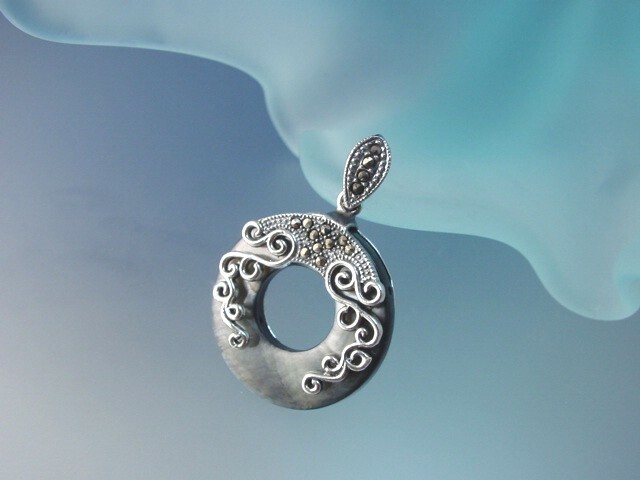 Marcasite Jewelry. Pendant: L - 1 3/4", W - 1 1/4"